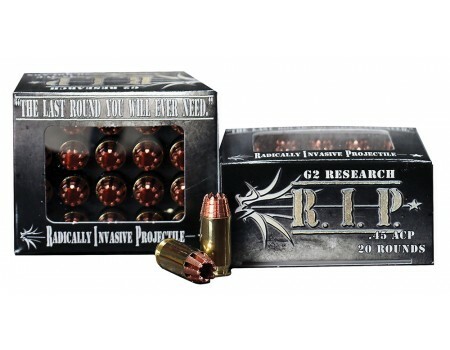 G2 Research R.I.P Handgun Ammo for Personal Protection/Target. 45 ACP, 162 GR, Hollow Point. Box price, 20 Rounds/Box.